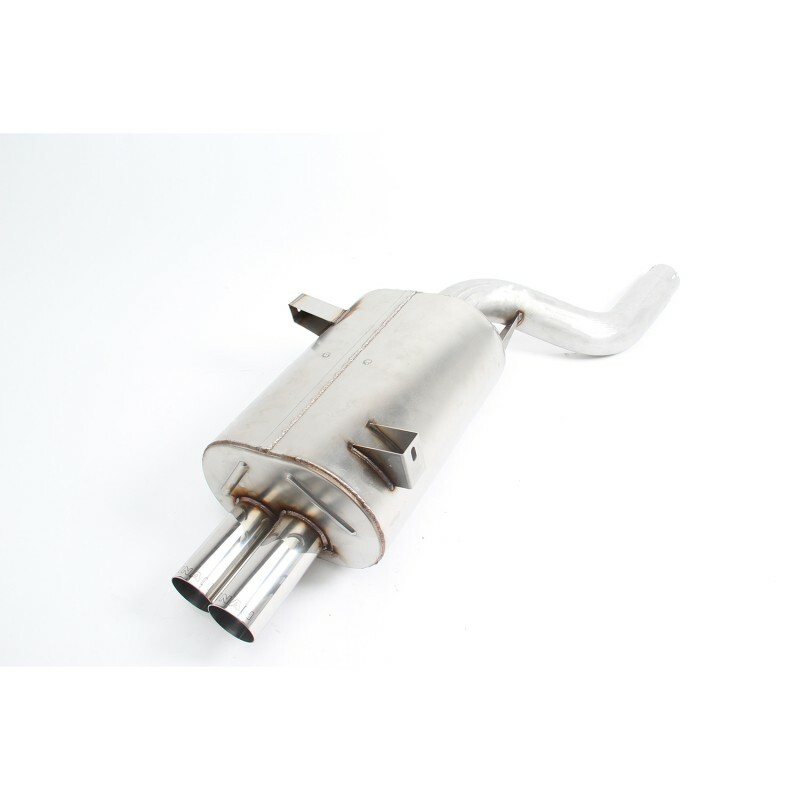 Dinan’s Free Flow Exhaust for the 3 series models provides increased flow for power gains without the excessive noise associated with typical ”performance” mufflers. The Dinan exhausts feature rigid and durable muffler cases manufactured from 20 gauge 304-stainless steel for optimum corrosion resistance. Internally, the systems feature Dinan’s Tuned Resonance Chamber technology which provides the optimum balance between maximum power gains and a civilized, yet sporty exhaust note. 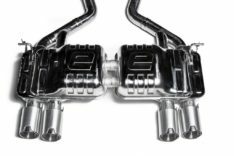 The Dinan exhaust also provides substantial weight reduction compared to the stock muffler, weighing in at just over 17 lbs. compared to the stock system at 28 lbs. 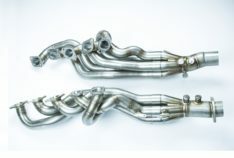 Dual 2.5 inch diameter polished stainless steel exhaust tips give the cars a tasteful performance look as well.